On December 15, 1985, the Washington Redskins hosted the Cincinnati Bengals at RFK Stadium. But they weren't the only D.C. team with a lot at stake that day. A division of the U.S. Marshal Service known as FIST-Fugitive Investigative Strike Team-set up an elaborate sting operation to lure area criminals to the Washington Convention Center to pick up two free tickets on the morning of that Redskins game. As one of the marshals says in this 30 For 30 Short directed by Willie Ebersol, "It was a very real opportunity for the good guys to trick the bad guys." The film, featuring archival footage and present-day interviews, retells the story of the operation, from the planning stages when it was met with skepticism, through the comical dress rehearsal, and on to its suspenseful execution. When the fugitives showed up for a brunch hosted by a different FIST-Flagship International Sports Television-they were greeted by agents dressed as TV executives, hostesses, a costumed Indian and even a chicken mascot packing heat. They were then ushered in small groups to an assembly room where an emcee told them, "We have a surprise for you." All in all, more than 100 fugitives were arrested that day without a shot being fired. The Redskins, who knew nothing about the operation, beat the Bengals 27-24. The good guys also won. 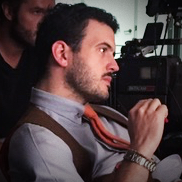 Willie Ebersol is an American documentary filmmaker and writer. His most recent project, Strike Team (ESPN), tells the outrageous story of the largest sting in U.S. Marshals Service history. Starting at the age of 16, he began his career working alongside his brother, Charlie Ebersol, to create the acclaimed documentary, Ithuteng: Never Stop Learning, which went on to win the Humanitarian Award at the Telluride Mountain Film Festival. Since then, Ebersol has directed many documentaries, including Shaun White: Don't Look Down for ESPN and has produced content for NBC's coverage of the Olympic Game.